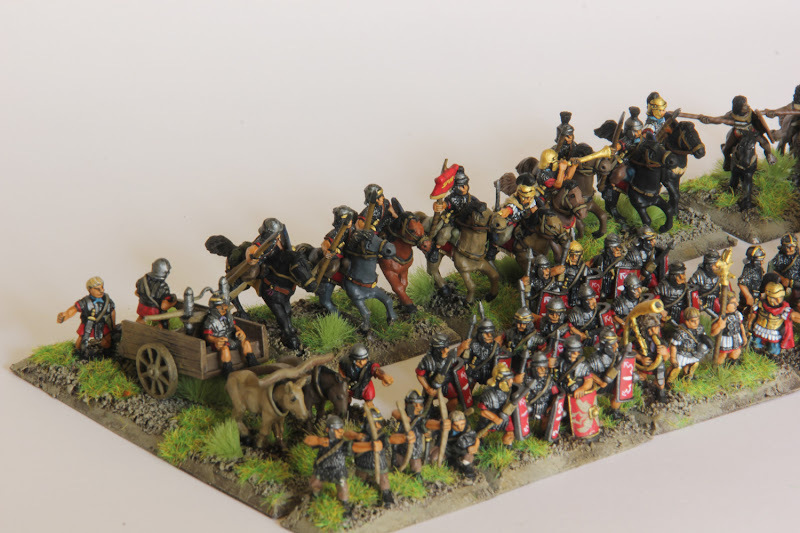 Blog about wargames and miniatures. Painting and terrain techniques. Flames of War comission painting. Hi guys. I have to announce you that I will not post anymore in this blog. I am moving to a new one. I have been having some problems with it and it has gathered with my intention of creating a new style and open my painting fields, so a blog called "Painting Flames of War" probably is not the best place. How to make dragon teeth? This is a mini tutorial to make, easily, dragon teeth that will be very cool in our engineers platoons. Dragon teeth were used in some german fortification lines during WWII, from 1944 to 1945 the german army was retreating, and built some defensive lines in Italy, western and eastern fronts. Dragon teeth were antitank obstacles built with concrete. The shape and size depended of the mould used but they used to have trapezoiz shapes. 1. With some putty we make trapezoids, it doesnt matter if they are not perfect, we just need the general shape. 2. When the putty is dry, we model the shape with a cutter, it is very easy. I highly recommend to use DAS putty, because it is easily modelable. 3. After that we just have to glue them into the bases, and add some sand, as always. 4. And paint them as concrete exposed to the elemments. In the last days I had a lot of college work, but I was working in two british platoons that I had started before. By the moment the miniatures are painted and I added the terrain and painted it in black! Today I want to show you a project that I began some months ago. Some of the nations in Flames of War have medium bases with 5 soldiers, but I really prefer to put only 4 soldiers. When I place 4 miniatures the bases are not so packed and I have more space to add some terrain. But even when I dont add special terrain, I dont like when the bases are more packed than the metro of Tokyo hahaha So, I use to keep the fifth soldier to make Objectives or for other projects. I have a crazy project about a Civil War in the US during the WWII that I will show other day, because today is the moment to talk about the SCW. In the next photo you can see the first soldiers of the republican army. 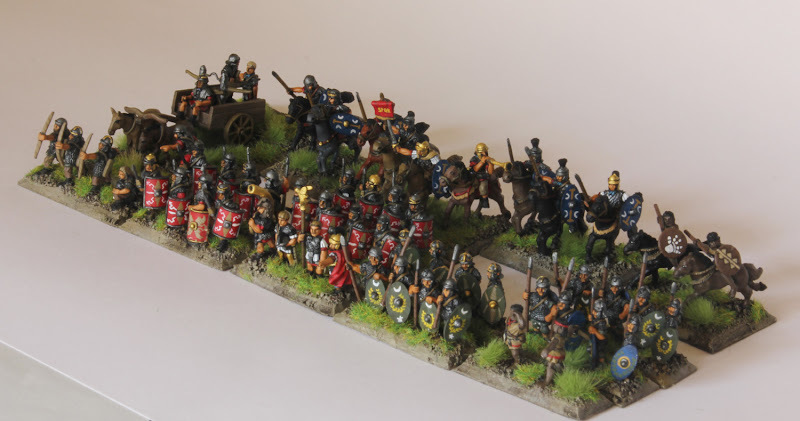 I used american, british, soviet and romanian miniatures. I replaced their heads by some Peter Pig SCW helmets. The colors I used are mostly browns, and I mixed helmets, peaked caps and bare heads, since the uniformity was not a characteristic of any of both side during the infamous civil war. I will post more post soon. I am paiting a lot of british parachute guns, the SCW guys, an Afrika Korps army, some Late War brish platoons and some objectives... And soon I will start to paint an italian army !!! Some months ago I painted and sold some Red Devils platoons. The person who bought them comissioned me some artillery and AT extra paltoons to make them have a stronger fire power. During this last month I have been working on the, and, by them moment, they look like this. As usual, it was a long time when I posted the last potos in the blog. I have been busy, I had my final exams in june and july, after that I was on holidays and finally I had to prepare everything to come back Sweden. I was here 2 years ago as an Exchange student, but last january as applied to study a master in International Relations. I was accepted, one week ago I landed in Linköping, where I should study the next two years. The last things I had painted are two germans platoons with a very mediterranean bases. The yellow grass and the olive tres reveal that the are somewhere in the Mediterranean área. They can be fighting in the invasión of Greece in Early War or maybe defeding Italy of the allied invasión in Late War. They had a lot of work. As you can see, all the soldiers have the tricolor Wehrmatch simbol on the right side of the helmets. The olive tres were modelled with a wire skeleton and DAS putty and some fences and Street stones were added. 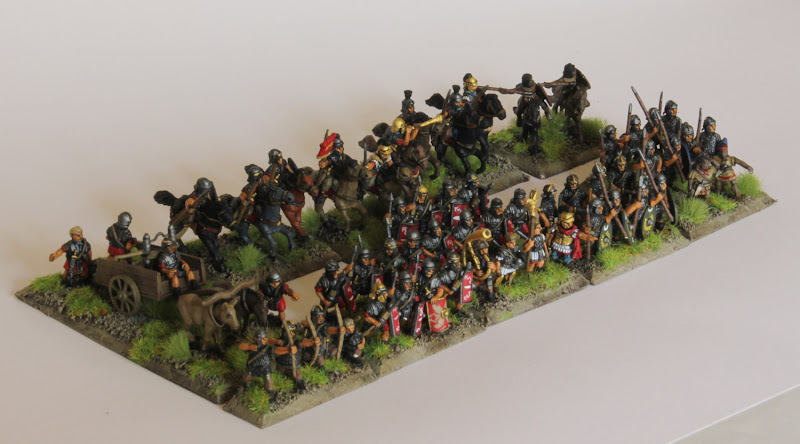 A couple of months ago I painted the Corvus Belli's Early Imperial Romans box. 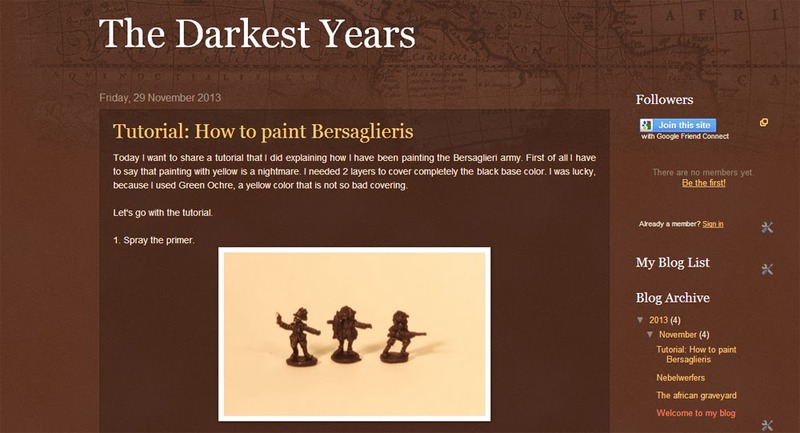 The figurines made by Corvus Belli are a small 15 mm miniatures. They can not be mixed with the huge Xyston miniatures. I like Corvus' romans, they are made with a very clean metal, they have no burrs, and are easy to paint. I really like the Roman range. 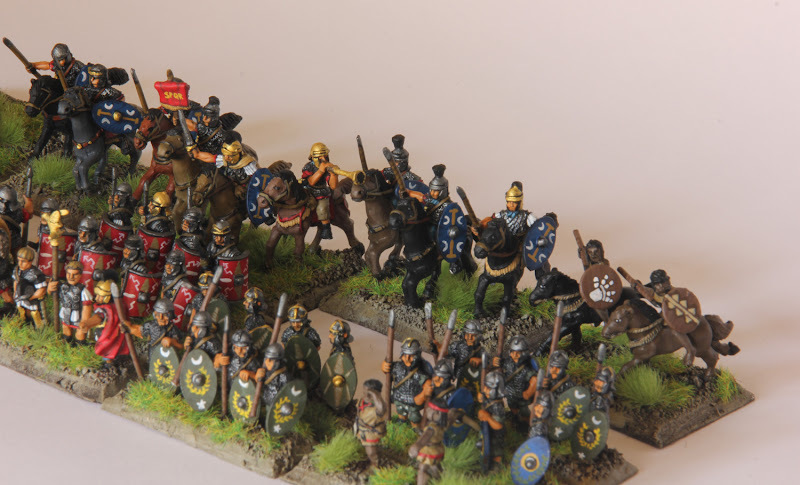 I used the typical red color for the regular roman legionaries but blue and Green for the roman auxiliaries. The numidian auxiliary tropos are painted with a brown and red scheme, and tribal shield patterns. All the shields are Freehand.